Sir Edmund Hillary passed away in January 2008. For years Bill and Hillary Clinton claimed that Hillary was named after the famed mountain climber. It was later discovered that Hillary was born six years before the famous climb up Mount Everest. The problem with the tale, however, is one of timing. 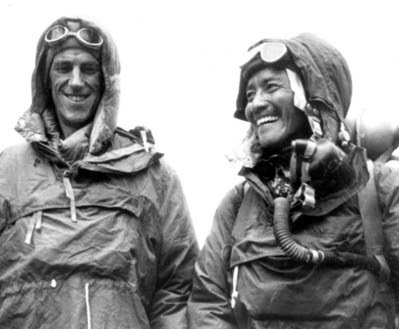 Sir Edmund and his Sherpa guide, Tenzing Norgay, became known to the world only in 1953, after becoming the first men to reach Everest’s summit. Sen. Clinton was born in 1947. So… Do you suppose Hillary will make a statement… Send flowers? Blue Crab Boulevard has more on the life of Sir Edmond Hillary. It’s too bad the corrupt media won’t bring this up with Hillary now.